If you’re hearing the people around you start to sniffle and hack, you may feel a sense of impending doom about your chances of avoiding a cough or cold. Unfortunately, since the average American contracts two to three colds every year, according to the CDC, you may be right. But if you do come under the weather, there’s no reason to suffer needlessly. That’s especially true if you prepare now by storing away the essentials you'll need when sickness strikes. 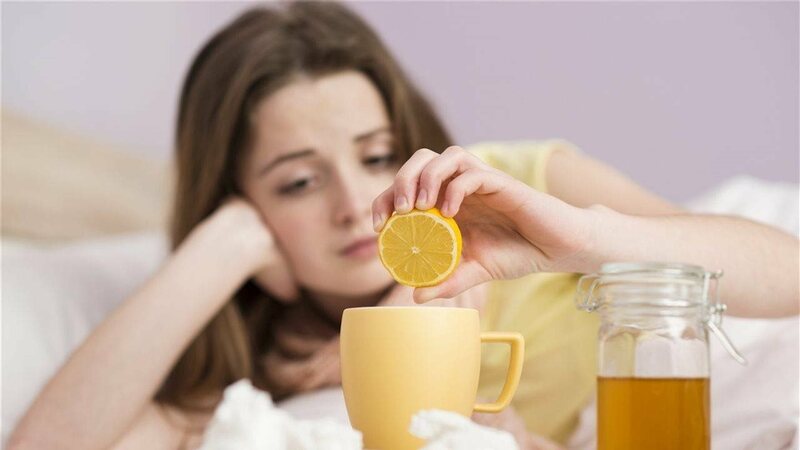 When it comes to anticipating cough and cold season, consider the following care tips from author and health and wellness expert Cassie Sobelton. * Stock up. When you're sick, the last thing you want to do is shop for supplies you need for relief, so prepare now by stocking up on your sick day essentials. From tea and honey for soothing comfort to tissues and sanitizers for clearing away germs, having it on-hand now will give you the first sense of relief when sickness strikes. * Clean out the cabinet. Always check your medicine cabinet for expired products and purchase new products at the beginning of the season. Having both daytime and nighttime formulas of cough and cold medicines will ensure you can find relief at all hours of the day. Robitussin now offers Robitussin Honey, which combines 19.2 percent natural, grade A honey with proven cough medicine, providing you with the honey you look for to comfort you when you're sick and the medicine your body really needs. * Fight germs. Make a habit of carrying disinfectant wipes or sprays so you can clean up any areas that may have been exposed to germs, like common areas in the workplace. Be sure to also wash your hands several times a day and avoid touching your eyes, nose or mouth with your fingers. * Fuel your body. This will boost the immune system's ability to fight off germs. Eating quality foods helps the body thrive and assists in removing toxins and chemicals that can be harmful to the body, so a healthy diet will help your body feel its best. * Relax and recharge. One of the best things you can do to help your body get back to health is to relax. Staying home to rest will not only give your body the care it needs, but will help you avoid spreading germs to friends and co-workers. Take a steamy shower, turn on a humidifier filled with water and a little eucalyptus oil, drink herbal tea with honey and lay low until you're feeling your best. Entirely avoiding colds or coughs during the cold months of winter may be nearly impossible, but such illnesses can be easier to tolerate if you take steps to reduce their severity and stock up on comforting supplies. For more information on effective over-the-counter medications for common colds and coughs, visit www.robitussinhoney.com. * Stock up on tissues, hand sanitizers and disinfectants so you need not shop for supplies when ill.
* Refill your medicine cabinet with cough and cold medicines formulated for daytime and nighttime use. Offering both varieties is the new Robitussin Honey, the only cough medicine containing 19 percent natural, grade A honey — an antioxidant, antibacterial substance. * Carry disinfectant wipes or sprays so you can clean up surfaces that may have been exposed to germs. * Consume healthy food and drink. Maintain a balanced diet, eating a daily portion of a high-bacteria foods and drinking plenty of water. For more information on effective over-the-counter medications for common colds and coughs, visit www.robitussinhoney.com.